If you have never used a timer for your workouts, you should check out this page, as it will give you an idea about some accessories to pick for the type of exercises we will explain next. Besides a boxing bag, for this routine, you will also need a boxing bag stand, as well as some protective equipment. For people who have never used a heavy bag, the kind of routine we will explain may not sound too challenging. But, if you want to tone your body, and to do it without sacrificing a lot of your time, this series of exercises we propose will be just what you are looking for. 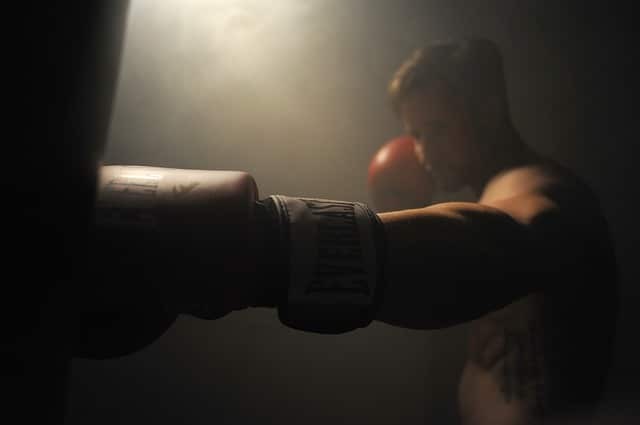 If you’re asking any professional boxer, he or she can tell you why boxing requires you to be in such a perfect shape that no other type of training than the specific one boxers need to get through can ensure. And it’s not only about being in good physical shape. A lot of sports and fitness routines can make you fit. But being fit like a boxer is in an entirely different league. Being in shape to endure the hardships of this sport means being capable of being at your absolute best while getting ready to go into a ring, and fight against an opponent. Most people don’t need to go this far. But the way boxers train, particularly with a heavy bag, can be hugely beneficial for people who want to get on top of the game fast. That is what the routine we are going to explain is all about. This aspect cannot be stressed enough. Seeing how you will engage in a serious High-Intensity Interval Training, as punching a heavy bag is, you will need your entire body warmed up properly and loose enough to prevent injuries. One particular rule that we are going to apply here is that the moves you will do during warming up must resemble the moves that you are going to perform. So, in this case, your warm-up should take about 10 minutes and include jogging in place, jumping jacks, air squats, shadow boxing, and downward dog repetitions. Each of these should take 30 seconds, and you should repeat the entire routine three times at least. All the exercises described in this routine should happen like this: exercise for 45 seconds, and rest for 15 seconds. Try to get as many repetitions of the same exercise within the required 45 seconds. For the first exercise, position yourself for a punch in front of the heavy bag. Punch the bag with your left hand two times, follow with a cross with the right hand, and then, immediately squat. 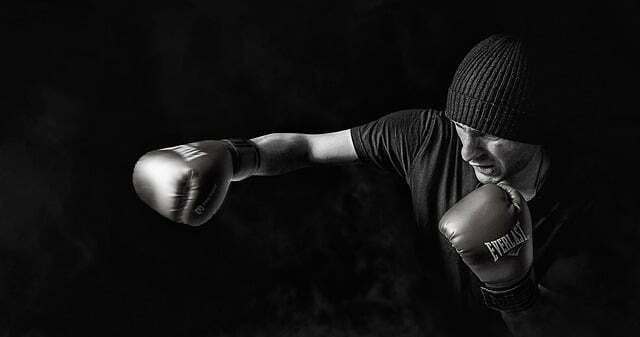 Boxing does a swell job at getting the entire body involved while training. Cross punches are the best proof in this respect. Start landing punches using the dominant side first, and abiding by the 45-15 rule explained earlier. This exercise is meant to condition your shoulders and your arms. If the exercise seems too easy, that may be because you are not throwing your entire body into each punch. Strength is essential for boxing, and you should make use of it for this exercise. This exercise is just like the one described earlier, with the sole difference that you are going to use your non-dominant side. Remember that your arm should go back to the initial stance after each punch, and not swing downward. While you’re throwing punches, keep in mind to protect your face with the other, just like you would in a real match. In this type of exercise, you will combine side-kick repetitions with punches. The rule to follow is this: you will perform ten repetitions of kicks, followed by thirty punches. This is an exercise that you will perform for each side, without rest when changing sides. Because performing the exercise for each side will take 45 seconds, so in total it will last for 90 seconds, you will get 30 seconds of rest before the next exercise. Try to fit as many repetitions as you can within the duration recommended for this exercise. This is a more complex exercise, but the duration remains the same: 45 seconds, followed by 15 seconds of rest. First, position your body into a long lunge, and from there, move into a side kick. As you turn back, position yourself for four quick cross punches. Alternate the leg, and try to get as many repetitions within the allotted time. Remember to position yourself into a boxer’s stance before starting to land the cross punches. This is important for developing good posture. If you want excellent core strength, hooks should never be amiss from your routine. As you explode into a hook punch, your shoulders, hips, and core get engaged. This kind of move will make some fantastic looking oblique muscles, so the effort is all worth it. Start by practicing on your dominant side. From a boxer’s stance, perform the hook, making sure to throw your core into it. This is one of the essential recommendations to get the most out of your routine. Remember that your forearm should be parallel to the ground when you land your hook. No training would be complete without performing the same exercise on your non-dominant side. Abide by the same rules explained earlier. Always finish with a rest period of 15 seconds. This high-intensity training will work wonders for your condition, and it will also help you tone your entire body. Within a limited amount of time, you will get results that would otherwise take you much longer. Plus, you will effectively burn fat.